How to Add Some Oomph to Your Deep Conditioner – amandarobots. I thought I’d try a variation on the typical DIY hair mask recipe – you know, banana, avocado, egg, olive oil, mayo. I thought I’d try using my favourite deep conditioner as a base, and then adding some of those weird things to it. 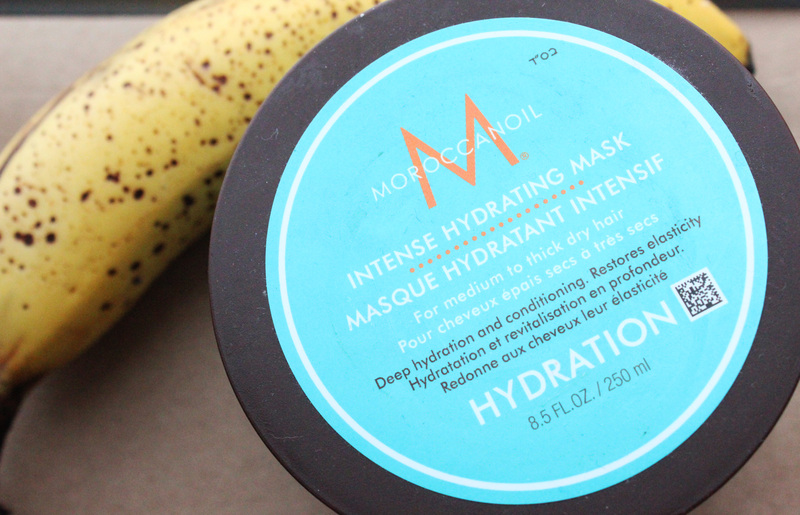 I really like the MoroccanOil Intense Hydrating Mask. It was expensive, but I’ve had this pot of it for more than a year – a little goes a very long way, especially if you add some of your own things to it. I added half a banana to about a teaspoon of the mask. This is nice on its own, but the second time I tried it I popped in a scoop of coconut oil, a drizzle of olive oil, a few pumps of MoroccanOil, and a little bit of water to make the mixture more spreadable. Now, this step is crucial: BLEND IT. Use a blender or a food processor to blend it to a paste or liquid depending on the consistency you like. Either way, there should be no chunks of banana in there whatsoever. Trust me. The first time around, I skipped the blending and just mashed a banana into my deep conditioner. The result was little chunks of banana stuck in my hair. I had to brush my hair with my TangleTeezer while rinsing to get most of them out. Most of them. So blend it. Spread it onto sections of hair. I braided the sections, then tied them up in a plastic bag to lock the heat and moisture in, then covered that with a towel turban. Then I sat around for a few hours. When I rinsed it out, there were no banana chunks, but more importantly, my hair was soft, shiny, and smooth. As a bonus, even three days later, it smells like a combo of MoroccanOil and banana. Yum. Reblogged this on Hello Beautiful Salon.